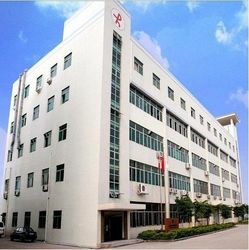 Shenzhen Hui Trade Industry Co., Ltd was established in the 1990 s, nearly 20 years in the automatic door control and related products field continuously explore. To products responsible for, is responsible for the customer for the development of the enterprise the premise, and with the overwhelming majority of the automatic door users provide safe, stable, with the highest cost-effective automation product categories for development goals. In the growth process, successively in mainland area to the user with Chris dodd and, open he is cut off, the brand such as China's total operation by the service, with the efficient, earnest, practical work for many of the same industry partners consistent approval. Now, the improved "CATERLY" automatic door unit to a lower price, consummate craft, fully functional advantages and the solid price for all the distributors love. In 2007, in response to the changing market demand, home to more than HuiTrade joint development institutions, successfully develop T8-100 door machine translation, and 2008 years into production, so as to realize the transformation from the trade for production, trade, sales for the integration of diversified management, as the few independent research and development of one of the enterprise completely... In various special door, it has the very strong overweight door industry advantage. Products have been exported to Vietnam and southeast Asia as well as Hong Kong CATERLY "series products already has won the ISO9001:2000 international standard authentication, and Pass CE certification . Through the understanding of the Hui Trade to you, you will find that the choice of different channels more automation, unique solutions and the company always insists on the principle of the supremacy of the customer will let our pleasant cooperation, and in the automation channel field high-speed growth. Sincerely welcome vistit our factory to guidance, negotiations. We,Shenzhen Hui Trade Industry Co.,Ltd do our best to satisfied you. Shenzhen Hui Trade Industry Co., Ltd was established in the 1990 s, nearly 20 years in the automatic door control and related products field continuously explore. In 2007 we successfully develop T8-100 door machine translation, and 2008 years into production, so as to realize the transformation from the trade for production, trade, sales for the integration of diversified management . Most product support custom service .